Also well worth considering is the Scion xD, which is closely related to the Yaris hatchback but with a larger engine and more standard features, at a slightly higher price. Improved safety features make the 2010 Toyota Yaris an even more alluring package for those watching every penny in a new-car purchase. 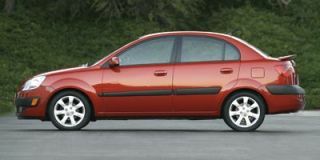 TheCarConnection.com has highlighted some of the most useful review information in compiling our full review on the 2010 Toyota Yaris. And for a quick take and what you need to know about the Yaris, you'll want to read on for our editors' Bottom Line summary, which includes firsthand driving experience with the entire Yaris lineup. The Yaris replaced the Echo in Toyota's lineup three years ago and has done much better in general—thanks to a lineup that includes both hatchbacks and sedans. For 2009, Toyota added a five-door Liftback hatchback to the lineup, which already included a four-door sedan and three-door Liftback. The Yaris still manages to look quite stylish compared to most other models in its class—especially as a hatchback. The two body styles of this model clearly cater to two different classes. While the sedan is slightly more conservative in its trims and interior treatment, the three- and five-door Liftback models are more flamboyant, with a more aerodynamic look, European design influences, and a rear roof spoiler atop the hatch. Inside, the Yaris has a very unconventional look, with a center-mounted gauge cluster and Liftback models offering large storage areas behind a slim center stack of controls. The interior is a contrast of elements good and bad, desirable and tacky, as Toyota obviously is trying to make a fashionable cabin while watching its price very carefully. A 106-horsepower, 1.5-liter four-cylinder engine powers the Yaris, and buyers can choose either from a five-speed manual or four-speed automatic. The power output is low, but it's adequate for a small, light (about 2,300 pounds) car of this type. The engine works quite well with either transmission, though it's a bit louder with the automatic. Keep the revs down and be gentle on the throttle and you won’t hear the engine much at all. Fuel economy is very good, at 29 mpg city, 36 mpg highway with the manual, and TheCarConnection.com's editors have seen as high as 41 mpg in gentle driving. The 2010 Toyota Yaris sedan is nearly two feet longer and has a three-inch-longer wheelbase, which translates to more backseat space and better stability on the highway. Both versions of the Yaris maneuver reasonably well but aren't as frisky as, say, a MINI Cooper or even a Honda Fit, due to a suspension that's clearly tuned to favor ride over handling. Though the Yaris Liftback model rides on a very short, 96.9-inch wheelbase and is one of the shortest new vehicles, at about 150 inches long, it can get pitchy or bouncy on certain types of roads. It's ideal as a commuter that can fit into the tightest parking spots, yet handle longer trips when the need arises. Getting more intimate with the Yaris, you'll notice an interior that's obviously been affected by cost-cutting. While the instrument panel looks quite good from a few paces away, it's actually made of hard, easily scratched plastics. Front seats are rather small and skimpy, while the backseat on the Liftback is tough to get into but decent for space; kids should be just fine back there. For 2010, Toyota has greatly improved the Yaris' standard safety feature list, which now includes electronic stability control and anti-lock brakes with Brake Assist (both features either optional or with limited availability in other inexpensive small cars), plus front side airbags, and roll-sensing side curtain bags. The Yaris has not been a good performer in U.S. crash tests, though; it gets just three stars for side-impact safety, and the IIHS rates the Yaris as "marginal" for rear impact and "acceptable" in its new roof-strength test. 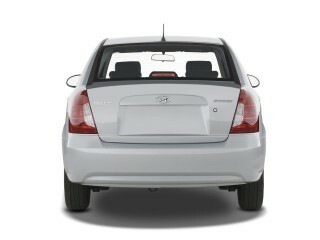 The 2010 Toyota Yaris has a relatively simple lineup, with a single model offered for each body style and transmission. Although air conditioning and keyless entry are included in all models, if you don't option up you'll have manual wind-up windows. A Sport Package brings body-color bumpers and side rocker panels; in addition, it picks up sport seats, a leather-trimmed steering wheel and shifter knob, 15-inch wheels, a rear defroster, a rear wiper, and an audio system with MP3 capability and an auxiliary jack. Cruise control is on offer, as is a cold-weather package with rear-seat heater ducts. The 2010 Toyota Yaris proves that small economy cars don't have to look dull, even if the more daring styling stirs controversy in some areas. The Yaris still manages to look quite stylish compared to most other models in its class—especially as a hatchback—even though it's been three years since its U.S. introduction. The two body styles of this model clearly cater to two different classes. 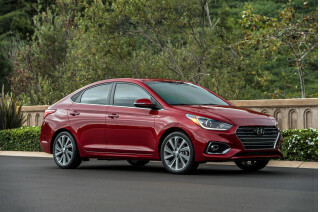 While the sedan is slightly more conservative in its trims and interior treatment, the three- and five-door Liftback models are more flamboyant, with a more aerodynamic look, European design influences, and a rear roof spoiler atop the hatch. 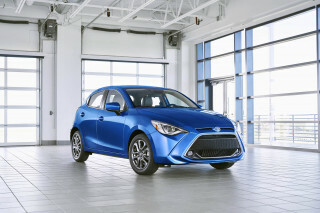 "The two-door hatch's funky styling was born in Toyota's European design studio," notes Automobile Magazine, while Road & Track proposes that the four-door Yaris sedan "looks like the little brother of the Corolla." Autoblog thinks "the design is deliberately weird enough" to be sold under Toyota's youth-oriented Scion brand instead. "Indeed," continues the Autoblog reviewer, "Toyota's supposedly hipper sub-brand offers the xD, a five-door on the same architecture as the three and four-door Yaris models." Car and Driver stands apart from most other reviewers and actively dislikes the styling, saying that it "shouts bland and inexpensive" and "has a face only a mother could love." A Sport Package adds sport seats, larger wheels, a mild body kit, and a leather-wrapped steering wheel and shift knob, all resulting in a different look for this econocar. Autobytel reports, "Outside, the S body kit and 15-inch wheels worked wonders on our tester, at least implying some sport if not actually delivering it." Road & Track also points out that "Yaris owners can up the ante with TRD accessories including suspension modifications, sport exhaust and 18-in. alloy wheels." Inside, the Yaris has a very unconventional look, with a center-mounted gauge cluster and Liftback models offering large storage areas behind a slim center stack of controls. The interior is a contrast of elements good and bad, desirable and tacky, as Toyota obviously is trying to make a fashionable cabin while watching its price very carefully. Regarding the unusual location of the speedometer, Automobile Magazine says, "Toyota insists that drivers eventually get used to the unconventional location—yeah, and convicts eventually get used to cell block D." But Road & Track sees more humor in the center-mounted gauges, quipping, "Now everybody in the car can see how fast you're going, or how much fuel you have left." But as controversial as it might be, the layout "lends the Yaris a bigger feel inside," notes Autoblog. The 2010 Toyota Yaris performs about as well as you might expect from a small, economical car; it's especially at home in the city, where it sips fuel and turns on a dime. A 106-horsepower, 1.5-liter four-cylinder engine powers the Yaris, and buyers can choose either a five-speed manual or four-speed automatic. The power output is low, but it's actually adequate for a small, light (about 2,300 pounds) car of this type. "Performance is about what you'd expect from a 106-hp, 1.5-liter four-cylinder engine—not great, but not dreadful, either," asserts Car and Driver. MSN Autos calls the Yaris' passing ability "brisk" and "fairly quick," adding that the engine, although loud during acceleration, is "a relaxed, quiet highway cruiser." The Yaris works quite well with either transmission, but most reviewers prefer the standard five-speed manual gearbox to the available four-speed automatic. "The manual shifts nicely, but the engine calls for lots of shifting to get the best performance," says MSN Autos, who add that the automatic, though not as fast, "allows good performance." Edmunds finds the manual gives the Toyota Yaris "a peppy, sporty feel," and compliments the engine for being "smooth and vibration-free, even at high rpm." ConsumerGuide reports that the automatic works fine around town, "but feels overmatched in fast-moving traffic and hilly terrain." 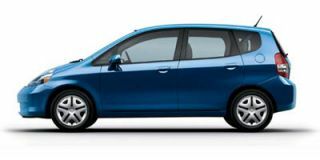 Reviewers are definitely split about how the 2010 Toyota Yaris handles, and it might have something to do with very different expectations for an affordable, high-mileage vehicle. Car and Driver says the Yaris' handling is "estimable for a car of this class, particularly the feel and response of the steering, which is electrically assisted to just the right degree." Edmunds also likes the feel of the steering, commenting, "Unlike some other systems of this kind, the Yaris' has a natural, crisp feel with even weighting." MSN Autos remarks, "Handling is OK if the car isn't pushed hard," and ConsumerGuide warns that grip in turns is limited by the narrow tires. That's probably not all bad. TheCarConnection.com also notices some conflicting information about how stable the Yaris feels. ConsumerGuide notes that the Yaris is "prone to wander in gusty crosswinds," and Car and Driver says the boxy, light design "makes passing semis on the highway feel as though you were driving through a tornado." 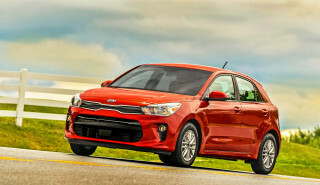 But Autoblog observes, "Crosswinds and passing semis likewise leave the Yaris unperturbed." Luckily the brakes are confidence-inspiring; Edmunds cites "reassuring braking power." For 2010 anti-lock brakes with Brake Assist are a standard feature. Autoblog says that "with less than gentle mixed driving, the Yaris will cheerily deliver 36 mpg, besting its EPA estimate." 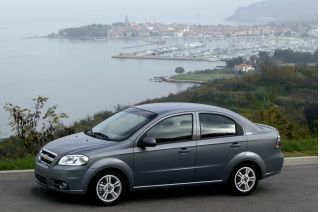 TheCarConnection.com's editors have seen as high as 41 mpg in gentle driving, with a five-door automatic-transmission model. The 2010 Toyota Yaris has impressive interior space, but the company skimps on comfort and materials to offer a low price. The Yaris Liftback model rides on a very short, 96.9-inch wheelbase and is one of the shortest new vehicles, at about 150 inches long, so it can get pitchy or bouncy on certain types of roads. Despite the fact that the sedan is 169.3 inches long, compared to the 150.6 inches shared by both the three- and five-door Liftback models, the Liftback models still, surprisingly, have more interior space. "The interior is very cleverly thought out, with a lot more space and storage than expected, and on-target ergonomics," asserts Autoblog, while Car and Driver reports space in the Toyota Yaris Liftback's backseat is sufficient, and "the hatchback has a clever back seat that slides forward for more cargo space and also has reclining seatbacks." That goes for both three- and five-door Liftback models. However, TheCarConnection.com's editors aren't the only ones to find the short, flat front seats and driving position unappealing. An MSN Autos reviewer reports trouble tilting the steering wheel high enough to clear his legs, and Car and Driver points out the lack of telescopic adjustment in the steering wheel—which TheCarConnection.com's editors note very few cars in the Yaris' class yet have. ConsumerGuide says, "Long-legged drivers may want more rearward seat travel," adding that some testers find the steering wheel too distant and pedals too close. Getting more intimate with the Yaris, you'll notice an interior that's obviously been affected by cost-cutting. While the instrument panel looks quite good from a few paces away, it's actually made of hard, easily scratched plastics. Autoblog criticizes the easily scuffed hard plastic, surfaces that don't quite match, and storage compartment lids that feel vulnerable, and Car and Driver notes the "hard plastic everywhere." The Yaris does quite well with reviewers when it comes to cup holders and places to put smaller items. Autoblog points to driver and passenger cup holders that "cleverly fold out of the dashboard," also noting "storage cubbies on either side of the center stack, as well as two covered bins in the top of the dashboard and a conventional glovebox on the passenger side." The centrally mounted instrument cluster gets no love; TheCarConnection.com can't find a single reviewer who reports liking it. ConsumerGuide says that the gauges aren't even canted toward the driver, and that "testers find its location diverts attention from road." Car and Driver reveals why Toyota might have chosen the odd layout in the first place, calling it "a cost-cutting annoyance that allows easy assembly for multiple global markets." Although crash-test results aren't great, Toyota earns kudos for making the 2010 Yaris one of the first vehicles in its class to offer standard electronic stability control. Toyota is upping the safety of the Yaris in leaps and bounds. Last year it added standard anti-lock braking, as well as side and curtain airbags; this year electronic stability control is also included with all models. The Yaris is one of the few vehicles in its class to offer the feature. For 2010 Toyota greatly improves the Yaris' standard safety feature list, which now includes electronic stability control, anti-lock brakes with Brake Assist, front side airbags, and roll-sensing side curtain bags. The Yaris has not been a good performer in U.S. crash tests, though; it gets just three stars for side-impact safety, and the IIHS rates the Yaris as "marginal" for rear impact and "acceptable" in its new roof-strength test. 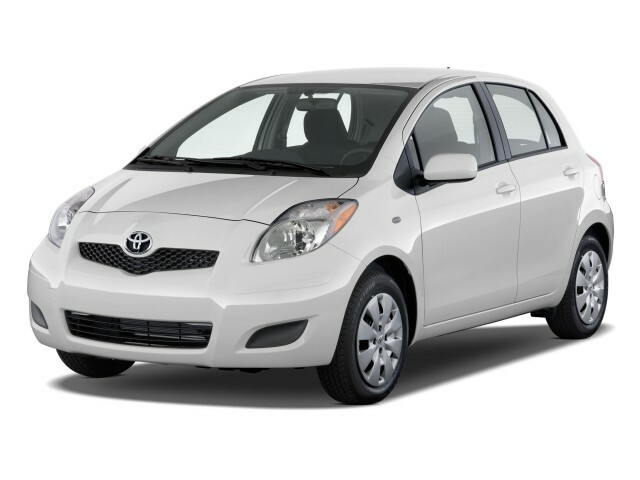 The 2010 Toyota Yaris offers quite a few options, mostly grouped into large packages, but take advantage of them and you'll be in a more "premium" price range. The 2010 Toyota Yaris is a simple car with a simple lineup—and a single model offered for each body style and transmission. Thus, there isn't much to report with regard to high-tech options or extravagant features. Although air conditioning and keyless entry are included in all models, if you don't option up you'll have manual wind-up windows. A Sport Package brings body-color bumpers and side rocker panels; in addition, it picks up sport seats, a leather-trimmed steering wheel and shifter knob, 15-inch wheels, a rear defroster, a rear wiper, and an audio system with MP3 capability and an auxiliary jack. Cruise control is on offer, as is a cold-weather package with rear-seat heater ducts. ConsumerGuide cautions that prices "climb to the level of larger, more powerful cars that come with safety and convenience features that cost extra on the Yaris." The Yaris can be upgraded with Toyota Racing Development accessories, including suspension modifications, sport exhaust, and 18-inch alloy wheels.